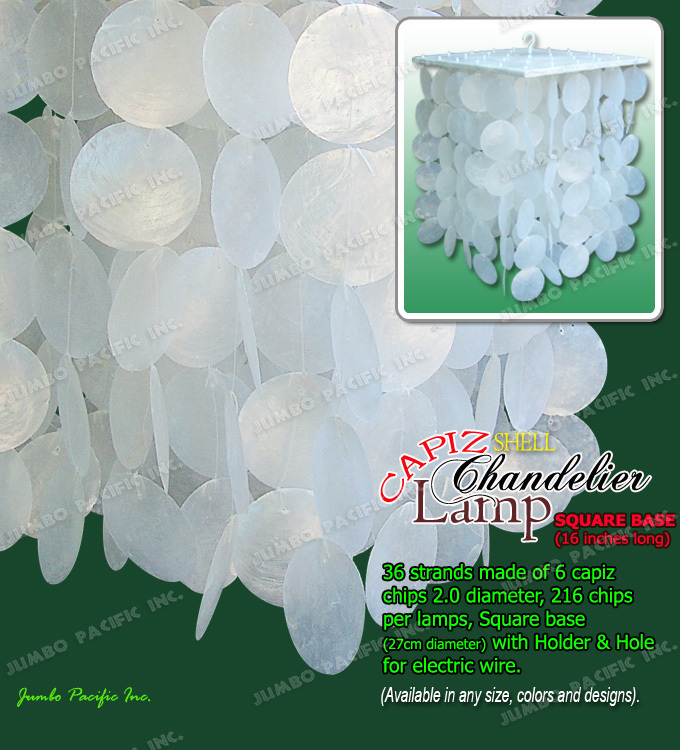 Description:Capiz chips natural white round design in square wooden base. 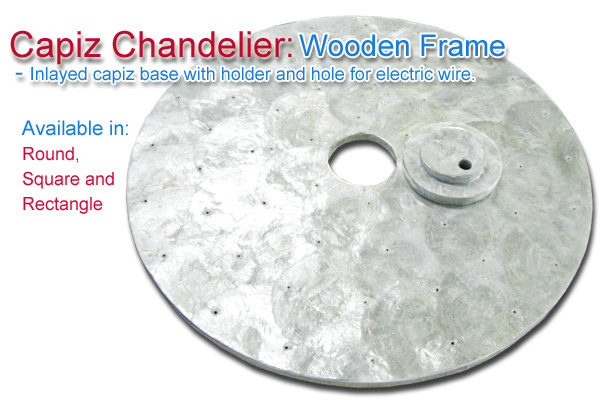 Height:26 inches base to bottom. 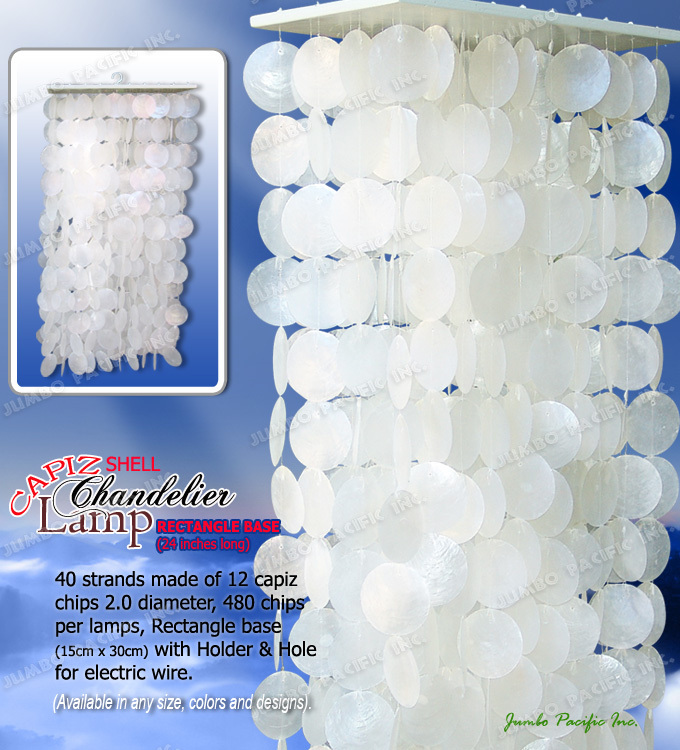 Number of strand/Chips:33 strands, 330 pcs. 2.0 inches diameter capiz chips. 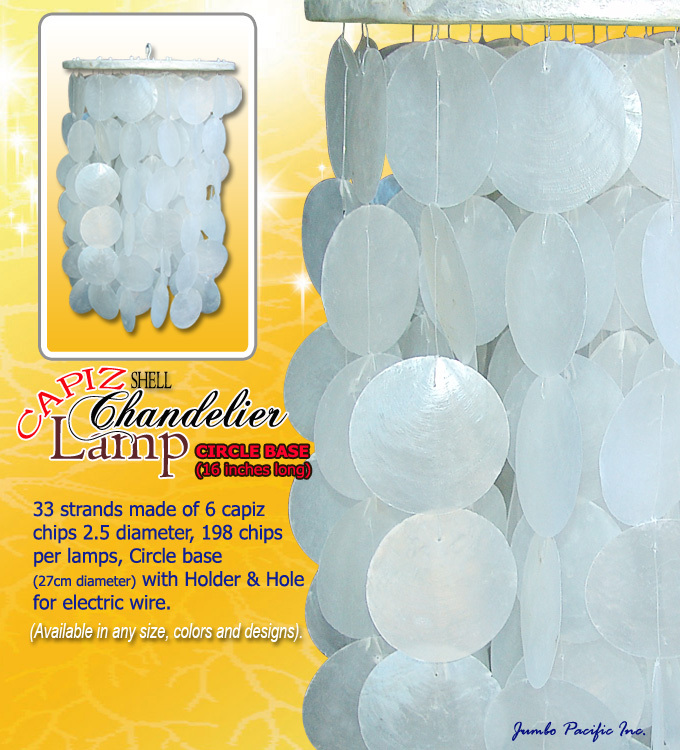 Description:Capiz chips natural white circle design in wood base. Height:16 inches base to bottom. 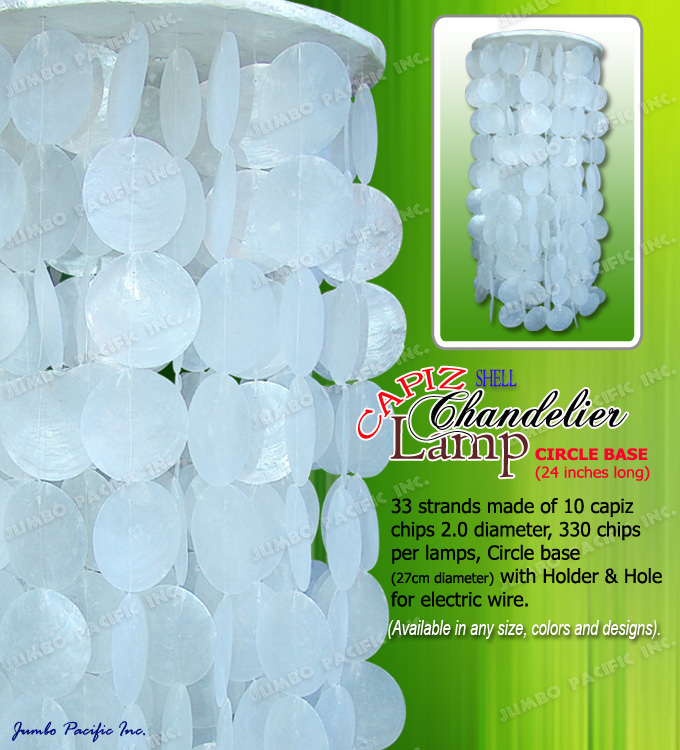 Description:Capiz chips natural white circle design in wooden base. Number of strand/Chips:36 strands, 216 pcs. 2.0 inches diameter capiz chips. 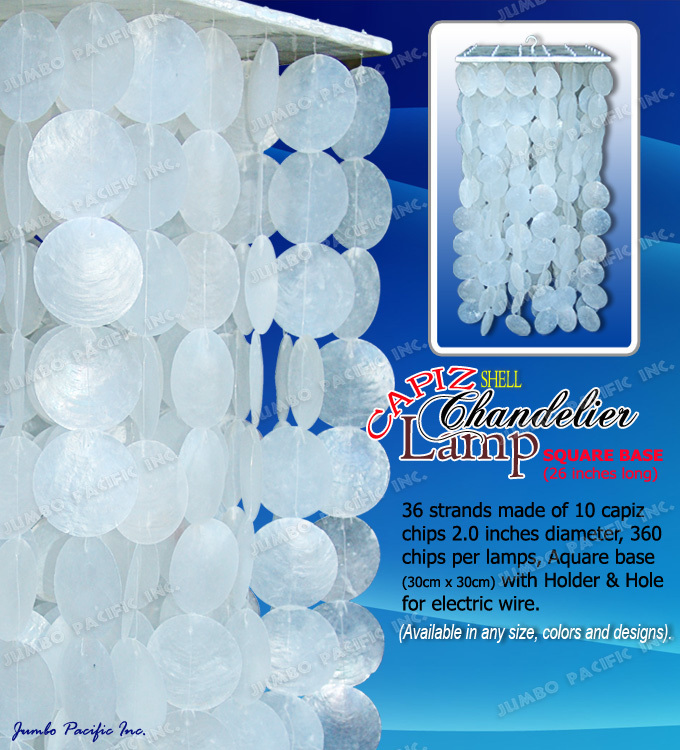 Description:Capiz chips natural white round design in rectangular wood base.